Authors: Ershova R.V., Tarnow E.
Free recall of 499 Russian college students was measured using the Tarnow Unchunkable Test (Tarnow, 2014) consisting of sets of 3 and 4 double digit items. Most students can remember 3 items but not 4 items and when the 4th item is added the total recall decreases (Ershova & Tarnow, 2016a). Here we describe the interference that results when adding the fourth item. First, we find that interference affects the items differently, evidence that working memory does not consist of identical “slots”; primacy is found to be an important stabilizer. We model the four item experiment as a superposition of the three item result and a perfectly recalled 1st or 4th item and find that the 4th position is affected 2.5 times as much as is the 1st position. Second, contrary to the displacement/competition theory, recall correlations of the added item with the old items (apparently reported for the first time in a free recall experiment) are typically positive. Third these correlations decay exponentially with item-item presentation distance and are symmetric with respect to time reversal. Small negative recall correlations only appear for subjects with the smallest working memory capacities. Third, also contrary to displacement/competition theory, the fourth item is the least likely to be recalled, thus there is not much need for it to displace the other items. This creates a paradox: while displaying the N+1 item decreases the probability of recall of the N items, actually recalling the N+1 item is positively correlated with recalling the other N items: the N+1 item destroys some of the underlying memory system and then functions as a gauge of its own destruction. interference, working memory, item-item correlations, serial position effect. 18-11 Radburn Road, Fair Lawn, NJ 07410, USA	Ph.D. in Physics, Data Scientist & Director of Consulting, Avalon Business Systems, Inc (New York, USA). Baddeley, A. (2003). Working memory: looking back and looking forward. Nature reviews neuroscience, 4(10), 829. doi: 10.1038/nrn1201. Baddeley, A. D. (2002). Is working memory still working? European psychologist, 7(2), 85. doi: 10.1027//1016-9040.7.2.85. Bays, P. M., & Husain, M. (2008). Dynamic shifts of limited working memory resources in human vision. Science, 321(5890), 851-854. doi: 10.1126/science.1158023. Crowder, R. G. (2014). The interference theory of forgetting in long-term memory. In Principles of Learning and Memory (pp. 234-279). Psychology Press. Deutsch, D. (1970). Tones and numbers: Specificity of interference in immediate memory. Science, 168(3939), 1604-1605. doi: 10.1126/science.168.3939.1604. Engle, R. W. (2002). Working memory capacity as executive attention. Current directions in psychological science, 11(1), 19-23. doi: 10.1111/1467-8721.00160. Ershova R.V., Semina T.M., Varchenko N.N., Gankin K.A., Novik V.P. (2016). The pupillometric predictor of internet-addiction. 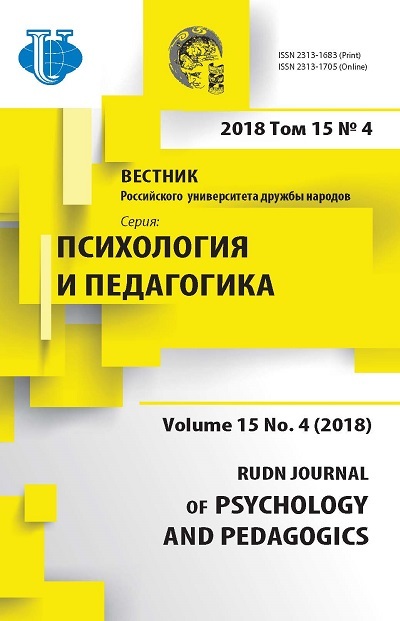 RUDN Journal of Psychology and Pedagogics, (1), 42-54. Ershova, R., & Tarnow, E. (2016a). Working Memory Capacity Test Reveals Subjects Difficulties Managing Limited Capacity. 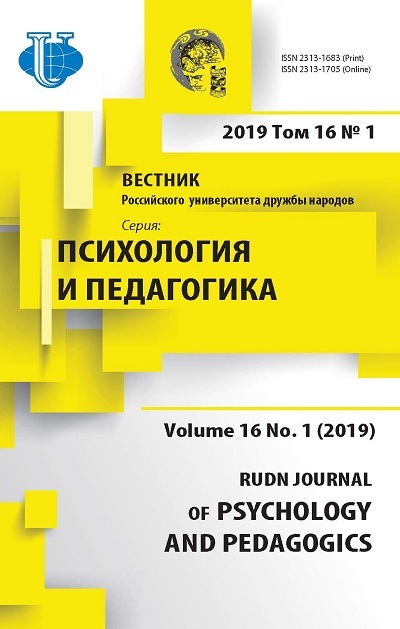 RUDN Journal of Psychology and Pedagogics, (3), 14-19. Ershova, R. V., Tarnow, E. (2016b). Characterization of Working Memory Singlet Errors. Penza psychological newsletter PSYCHOLOGY-NEWS.RU, (2), 121-136. Luck, S. J., & Vogel, E. K. (2013). Visual working memory capacity: from psychophysics and neurobiology to individual differences. Trends in cognitive sciences, 17(8), 391-400. doi: 10.1016/j.tics.2013.06.006. Ma, W. J., Husain, M., & Bays, P. M. (2014). Changing concepts of working memory. Nature neuroscience, 17(3), 347. doi: 10.1038/nn.3655. Mato-Abad, V., Jiménez, I., García-Vázquez, R., Aldrey, J., Rivero, D., Cacabelos, P., RodríguezYáñez, S. (2018). Using Artificial Neural Networks for Identifying Patients with Mild Cognitive Impairment Associated with Depression Using Neuropsychological Test Features. Applied Sciences, 8(9), 1629. doi: 10.3390/app8091629. May, C. P., Hasher, L., & Kane, M. J. (1999). The role of interference in memory span. Memory & cognition, 27(5), 759-767. doi: 10.3758/BF03198529. Melby-Lervåg, M., Redick, T. S., & Hulme, C. (2016). Working memory training does not improve performance on measures of intelligence or other measures of “far transfer” evidence from a metaanalytic review. Perspectives on Psychological Science, 11(4), 512-534. doi: 10.1177/1745691616635612. Portrat, S., Barrouillet, P., & Camos, V. (2008). Time-related decay or interference-based forgetting in working memory? Journal of experimental psychology: Learning, memory, and cognition, 34(6), 1561. doi: 10.1037/a0013356. Schneegans, S., & Bays, P. M. (2016). No fixed item limit in visuospatial working memory. Cortex, 83, 181-193. doi: 10.1016/j.cortex.2016.07.021. Tarnow, E. (2017). Preliminary Evidence: Diagnosed Alzheimer’s Disease but not MCI Affects Working Memory: 0.6 of 2.6 Memory Pointers Lost. Journal Alzheimers Dis Parkinsonism, 7(315), 2161- 0460. doi: 10.4172/2161-0460.1000315. Ward, G., Tan, L., & Grenfell-Essam, R. (2010). Examining the relationship between free recall and immediate serial recall: the effects of list length and output order. Journal of Experimental Psychology: Learning, Memory, and Cognition, 36(5), 1207. doi: 10.1037/a0020122. Zhang, W., & Luck, S. J. (2008). Discrete fixed-resolution representations in visual working memory. Nature, 453(7192), 233. doi: 10.1038/nature06860. Copyright (c) 2018 Ershova R.V., Tarnow E.